I have a small threshold for digesting dairy products. I do, however, love creamy delicious foods. 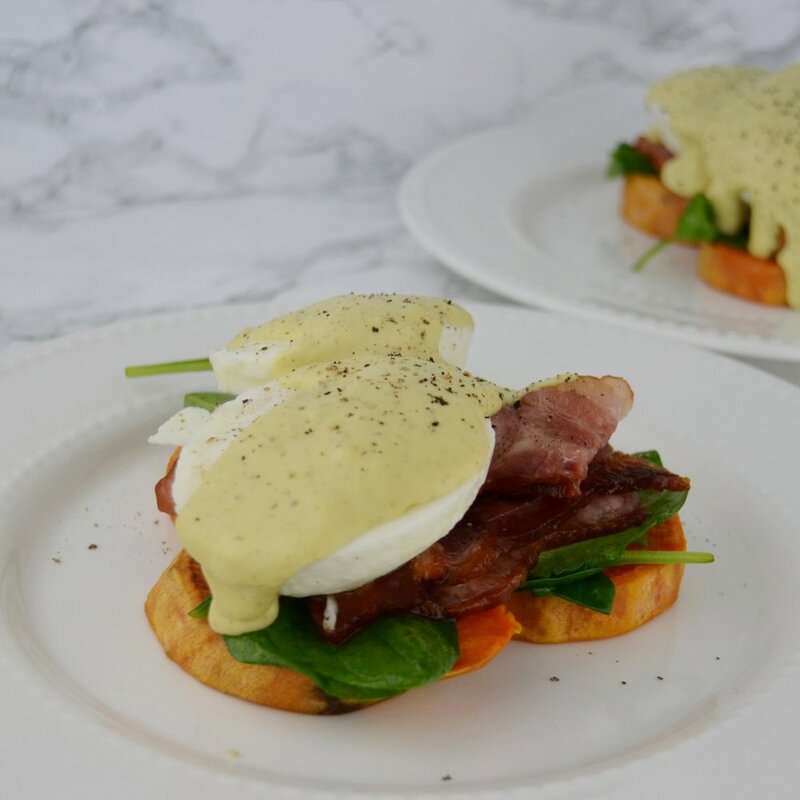 I am always looking for healthy, digestible alternatives so that is why I created this cashew hollandaise. Remember to soak your cashews, if they are not soaked long enough the sauce will be gritty. The longer the cashews soak the smoother and creamier it will taste. Transfer the contents to a pot and simmer on low for 10-15 minutes or until reduced. 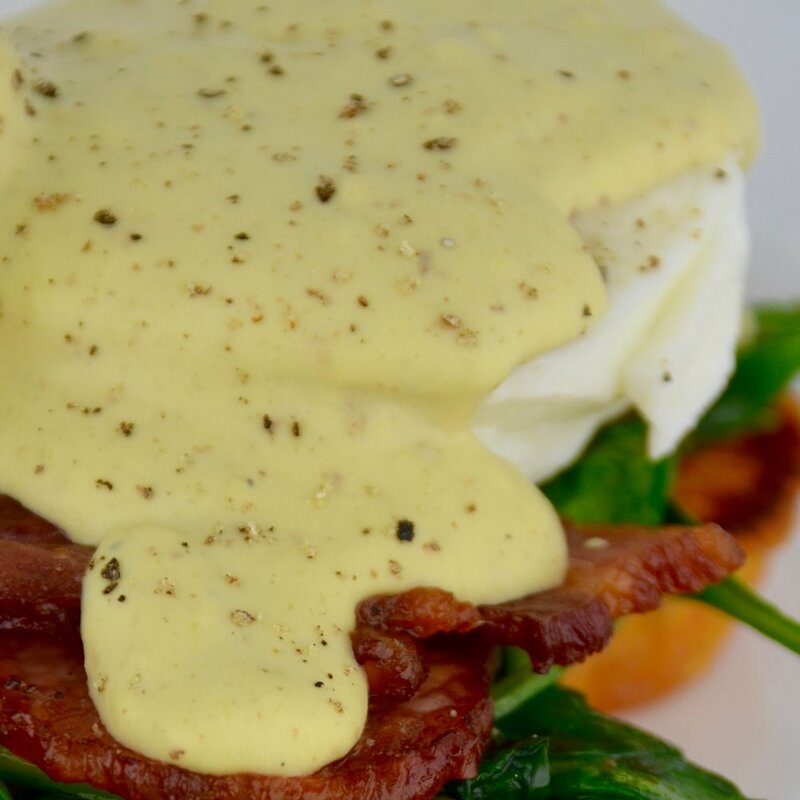 I served the hollandaise sauce with sweet potato toast, local free-range back bacon, blanched spinach, and poached eggs.